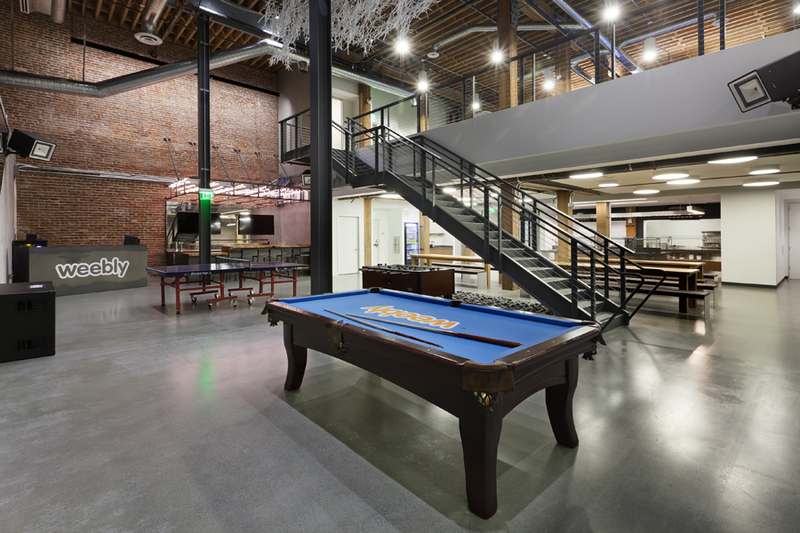 Ancestry.com selected Skyline Construction to remodel its two-floor office at 153 Townsend Street in San Francisco. The space utilizes a raised-floor system with all HVAC, electrical and data cabling hidden below the floor for aesthetic appeal. 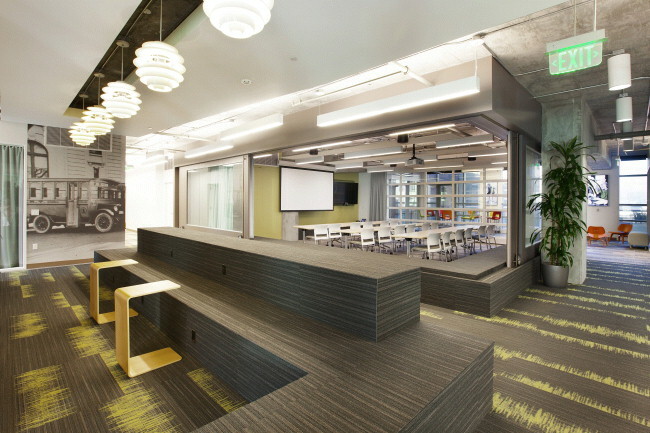 Creative features were implemented to capture Ancestry.com’s vision of a versatile workspace, most notably a functional garage door that separates a large collaboration area for multiple use and custom roller doors in the main conference room to control privacy. Construction of 63,000 sq. ft. from warm shell in a newly repositioned Santa Clara office park. The project included a 5,700 sq. ft. kitchen & dining room, centralized meeting and break rooms, private offices and new workstations for this fast growing technology company. Special features include a “collaboration cave” with full height glass marker boards designed to foster the sharing of ideas, circular meeting rooms, a fitness & game room, and a training room with an operable partition wall. Efficient lighting and finishes accentuate Ooyala’s brand while keeping overall project costs within budget. 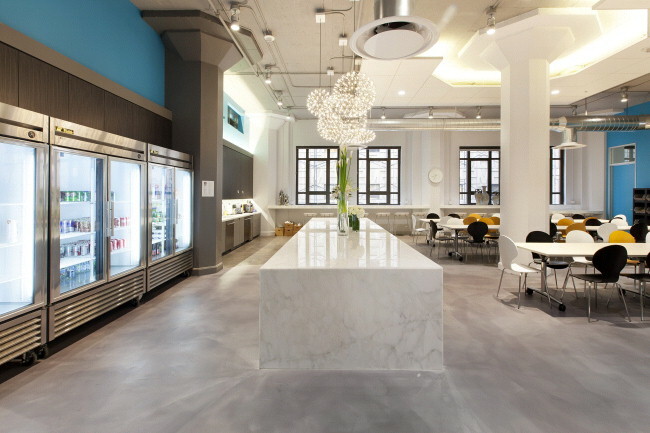 The Weebly project included a complete rehabilitation of an existing 45,000 sq. ft. building. 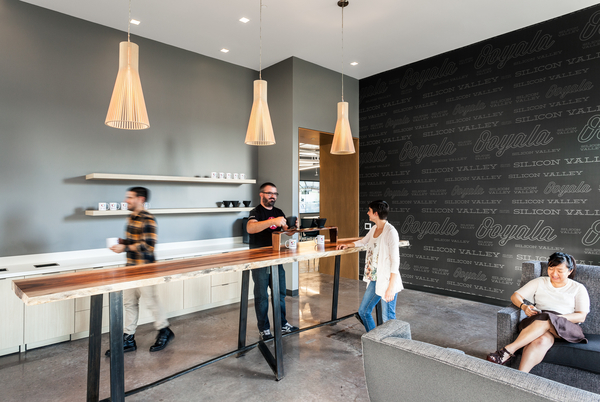 The growing website software company wanted their space to have an open, urban, industrial feel with accents like rolled steel paneling, polished concrete floors and exposed bricks in their gym, game rooms, lobby and cafeteria. The 2,000 sq. ft. cafeteria includes a full corporate kitchen, serving area, dishwashing station and seating for over 100. This 3 floor project also includes new restrooms, locker rooms, elevator lobby, parking garage, open and private office spaces, conference rooms, large flex-use space on the mezzanine, interconnecting stairs and a “secret” bar hidden behind bookshelves. The Internet radio mogul Pandora hired Skyline Construction in 2010 to build their office headquarters in Oakland. Three years later, Skyline and Pandora’s relationship continues to grow, as Pandora’s fourth expansion is completed. 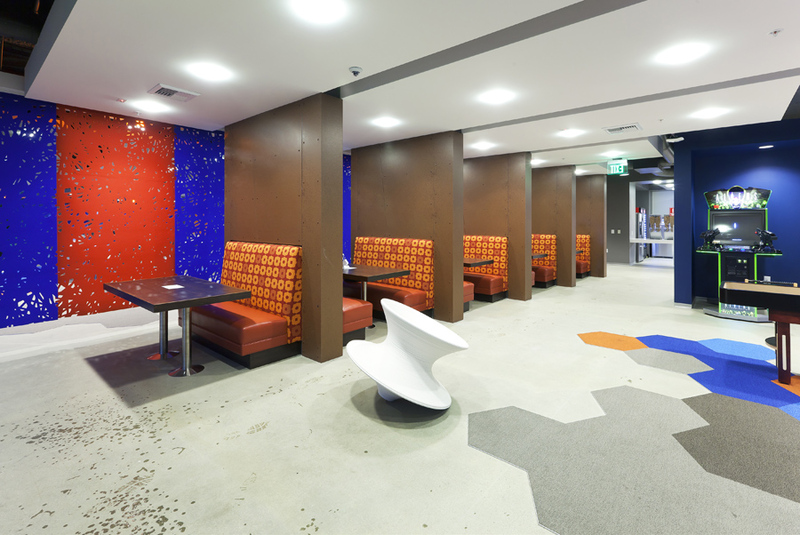 Their campus location evolved from a traditional office to an innovative “urban planning” themed workspace, housing stylized fabric banquettes, voice recording studios and several themed collaboration areas. Skyline Construction has completed three phases of tenant improvements for Workday over the past year encompassing the 1st floor training center, reception area and lobby, and the 3rd and 4th floors of office space. Other special features of this 210,000 sq. ft. of space include an executive area, boardroom, cyber cafe, break rooms and huddle rooms with glass-front sliding doors. Build-out of Yammer headquarters. The building’s existing art deco columns were enhanced with high-end modern finishes including exposed ceilings, 40 different lighting fixtures such as LED and Crestron lighting systems, 10 ft. glass office fronts, Kolkata marble tabletops in the corporate cafeteria and sealed concrete floors. The unlevel concrete floors required concurrent collaboration with the base building contractor. Unique to this space was the sound room with Buzzi noise cancellation panels, men’s and women’s shower rooms, a “Yammer Time” collaboration area with a 400-person capacity, cubicles with hydraulic lifts to give employees the flexibility of a standing or seated workspace and several break-out huddle rooms with soft seating.